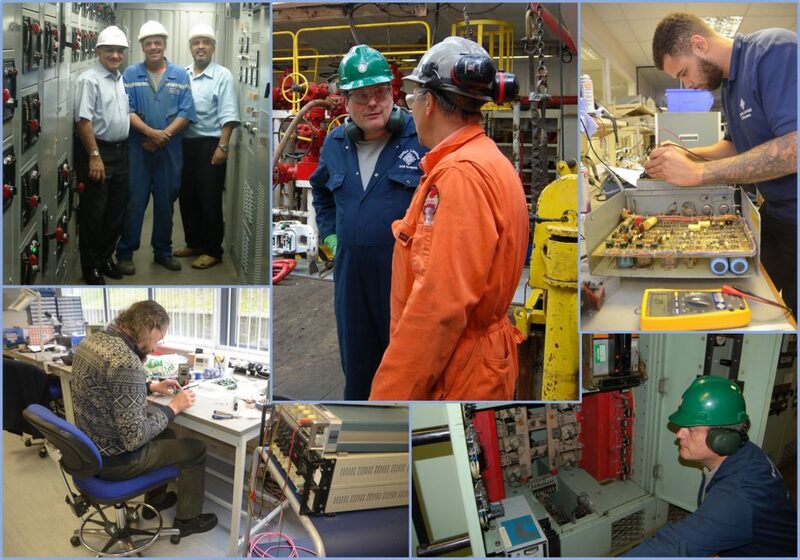 Customised maintenance and support contracts, including regular health-checks, recommended spare parts list, on-demand technical support, field service engineers, servicing history, technical drawings and documentation, module and PCB repairs, and training - a truly comprehensive service for peace of mind. Zeefax is pleased to be able to offer maintenance contracts to our customers, with access to telephone, email and hands-on support. Contracted customers enjoy priority support and discounts on services such as field service, spares parts and repairs. Our maintenance programs begin with complete system appraisals, including documentation and spare parts inventory audits, followed by regular planned maintenance visits. For customers with multiple systems from a common manufacturer, we can help cut spare holding costs by maintaining a central spares inventory. Zeefax has the technical expertise and equipment to repair and re-calibrate the complete range of Hill Graham Controls (HGC) and other manufacturer’s systems including all GE and Ross Hill Controls (RHC) type control modules and printed circuit boards (PCBs). From our UK-based test facility, we provide a fast turnaround, and have the depth of knowledge and expertise to re-engineer obsolete boards and components to help maintain continued return on investment, and to keep legacy equipment fully serviceable.